Samaritans offer support to anyone who has been struggling with the challenges in life. Jacquie, the director of Ballymena Samaritans said: “Anyone, at any time, can find life hard to cope with… financial worries, family issues, changes in your work, college, university or school life, the death of a loved one or pet, bullying, illness or abuse can lead to thoughts of suicide. The role of a Samaritans’ volunteer is to provide a confidential listening ear to anyone who needs to talk. Come along to a Spring Tractor Run (from vintage to new, all tractors welcome) on Saturday, April 13, 2019 at Ballymena Livestock Market, Woodside Road, Ballymena – to enter tickets £15 per tractor – breakfast included (plus £5 per head for additional people). For an entry form please contact Marie on 07934551484. All proceeds in aid of Samaritans of Ballymena. Members of the public are also welcome to come along and see the tractors or watch the tractor run along the route. Details will be provided nearer the time. Rural and farming communities can have particular issues to overcome – the loss of rural facilities, including banks/post offices, transport routes or the threat from Brexit may lead to increased stress. 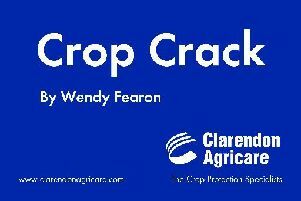 Farming is so important to the rural community. The majority of farmers may be small enterprises but they support mechanics and other trades within the community. They are the back bone of rural life and may be reluctant to discuss their fears for the future as they do not want to worry family or friends. Whenever you need support, even in the middle of the night, a volunteer will be available to listen in total confidentiality. Contact us on 116123 or e-mail jo@samaritans.org. Samaritans of Ballymena also has a very strong outreach team, going out to schools, clubs, in fact any organisation that invites Samaritans to come and talk about the work they do. If you would like to find out more about the service provided by Samaritans or if you would like a representative to come to your group, church or school please get in touch. Talks are tailored to suit different groups and ages. 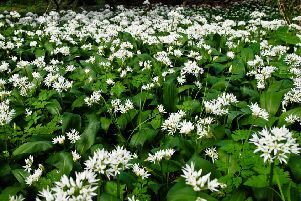 Wild garlic can fill the time known as ‘Hungry Gap’ – but be careful! Contact the Ballymena branch on 028 2564 4846 daily between 7.30pm and 10pm or email ballymenasamsoffice@gmail.com for more information.